10 Jul Do You Want More Energy, Happiness & Swagger? We’ve had a few questions lately about what Whole 30 is exactly and the simplest answer is that it’s a perfect way to get your summer off to a good start. Seriously, while you do have to eliminate a few things from your diet, the energy you will feel as well as the benefits to your physical appearance will give you a fantastic start on that Summer swagger. Below find the complete rules as well as a few tips from our team on how to succeed. Vegetables: Eat vegetables including potatoes! Ea them to your heart’s content. Fruits: Fruits are allowed, in moderation. Remember that you’re trying to limit your sugar intake during the 30 days. Unprocessed Meats: Sausage is still okay, but check for added sugar and other off-limit preservatives. • Seafood: Fish and shellfish get the Whole30 nod of approval. Eggs: Make these your new breakfast bestie. Nuts and seeds: All nuts and seeds are fine, with one exception: peanuts, because they are a legume. Oils (some) and ghee: Olive oil and coconut oil are great options. Ghee, which is a type of clarified butter, is also allowed. Coffee: Hallelujah coffee drinkers, you can have your java just don’t add any milk products or sugar. Added sugar, real or artificial: No maple syrup, honey, agave nectar, coconut sugar, date syrup, stevia, Splenda, Equal, Nutrasweet, xylitol, etc. Read your labels, because companies sneak sugar into products in ways you might not recognize. Grains: This includes (but is not limited to) wheat, rye, barley, oats, corn, rice, millet, bulgur, sorghum, sprouted grains, and all gluten-free pseudo-cereals like quinoa, amaranth, and buckwheat. This also includes all the ways we add wheat, corn, and rice into our foods in the form of bran, germ, starch, and so on. Again, read your labels. Legumes: This includes beans of all kinds (black, red, pinto, navy, white, kidney, lima, fava, etc. ), peas, chickpeas, lentils, and peanuts. No peanut butter, either. This also includes all forms of soy – soy sauce, miso, tofu, tempeh, edamame, and all the ways we sneak soy into foods (like lecithin). Dairy: This includes cow, goat, or sheep’s milk products like milk, cream, cheese, kefir, yogurt, sour cream, ice cream, or frozen yogurt. Carrageenan, MSG, or sulphites: If these ingredients appear in any form on the label of your processed food or beverage, it’s out for the Whole30. Baked goods, junk foods, or treats with “approved” ingredients: Recreating or buying sweets, treats, and foods-with-no-brakes (even if the ingredients are technically compliant) is totally missing the point of the Whole30, and will compromise your life-changing results. These are the same foods that got you into health-trouble in the first place—and a pancake is still a pancake, even if it’s made with coconut flour. Use your best judgment with foods that aren’t on this list that you suspect are not helping you change your habits or break your cravings. Our mantra: When in doubt, leave it out. It’s only 30 days. 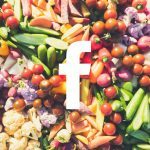 So yes, at first glance it might seem like some of your favorite foods are being eliminated. The point is to break unhealthy habits and learn to bring them back in in moderation. It’s like climbing a mountain, you do the brunt of the hard work (uphill climb) for the first 30 days, once you reach the peak coming back down is a breeze. You’ll have built strong, healthy habits that you’re less likely to break. You won’t have the attachment to sugar, cravings for carbs won’t rule your life. You’ll look better and feel happier. *Above: video of our Whole30 breakfast chia bowl. **Whole30 rules courtesy of whole30.com. Find outside activities to participate in – feeling more connected helps. Talk to your local farmers at markets – it helps bolster your resolve when you understand more about Whole Foods and how they are grown. 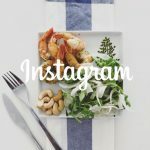 Follow Whole30 blogs and Instagram for inspiration, finding cool recipes, etc. Avoid going out to eat. Too much temptation! Get creative with meals. This is a great time to sharpen your skills and try something new. Drink lots of water. This helps you feel super full more often so you are less likely to thinkÂ about food as much in general. The flushing of toxins helps you feel great sooner and can alleviate some effects of sugar and carb withdrawals. Do it with a friend (or partner)! They hold you accountable and stay hydrated. Prep for the week. Just know that the first two weeks you will lose a lot of water weight. Real weight doesn’t really happen until 6 weeks or so. Be careful with gaining after you are “finished” with Whole30. Consider being a whole “lifer” with one or two open meals or consider a Paleo lifestyle. I eat The Good Kind meal delivery for the most part- it makes it so easy! In fact, I hadn’t even planned on doing the Whole30 again until I realized that I was already basically doing it when I started getting the meal delivery (because I really just don’t cook)- it made this round so freakin’ easy it feels like cheating. I do actually feel guilty when people are impressed I’m able to follow such a strict cleanse. When I eat out, I just eat as simply as possible and go to places that have food I know I can eat. I make frozen 100% (of course) juice pops and use them as one or two fruit servings for that day. It makes me feel like I am not missing out which is huge for me. 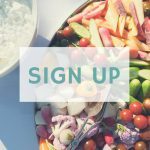 I have so much more time now with meal delivery and not getting up to snack on junk food a few times a day – I have started filling it with other things- like building the website I have been meaning to. I plan to actually finish learning Spanish soon as well. Filling that extra time with useful things helps give me reasons not to revert back to my snacking ways when I come off of the Whole30. I’m too busy with better things. I work on saying, “I am not eating XYZ right now” rather than saying “I can’t eat that”. I feel like friends try to pressure me a lot less that way and it feels empowering rather than restrictive. Take care of yourself. Get enough sleep, drink lots of water, move everyday, read a book you’ve been wanting to read, spend time with friends and family. Do the things that fill your heart up and make you feel good so eating doesn’t become a reaction to negativity in your life. I’ve chosen TGK meal delivery vs. making all my meals because it suits my lifestyle well and it’s opened me up to so many new ideas about what I can consume while staying true to Whole30. I still cook a couple times a week because I enjoy it and I’m excited to try my hand at mixing ingredients I never would have thought of if it weren’t for TGK meals. Meal delivery has also helped me with portion control. I LOVE to eat and I eat fast which often leads to feeling overstuffed. I never go hungry with TGK meals nor do I overeat. Plan your snacks for the week. You’re bound to get stuck in traffic/at work/out with the kids/starving post-workout. Make sure you have snacks on hand that are Whole30 compliant so you don’t down a sugar-filled something from Starbucks as a last resort. It’s as fun as it looks and is filled with great vendors and farm fresh offerings. Look for The Good Kind tent on Saturday’s at Pearl’s Farmers Market and enjoy our fresh cold-pressed juices and tasty bites. Let The Good Kind handle all the details for your next catered event large or small. Whether it’s a national conference or a casual office lunch we’ll provide healthy and energizing food that pleases a crowd but won’t leave people feeling tired and groggy. Find our more about our varying menus for breakfast and lunch here. Find out what we’re making for next week’s meal delivery here.